helping staff return to work after they’ve been off with a serious injury or illness. A key factor is “Competence” and “Suitability” safety consultants need to be competent to do the work they carry out. ‘Competence’ is a mixture of experience, skills, knowledge and qualifications in the service that a health and safety consultancy are offering, as well as the employment sector the safety consultants work in, which ideally should be similar to yours. You can check a health and safety consultants competence by asking them what qualifications they have, ask for a copy of their CV, request details on their experience and professional memberships, such as IOSH, APS, IIRSM. If you’re considering engaging the services of a Health and Safety Consultancy with a large team, make sure that you check the credentials of the consultant who’ll actually be carrying out the work for your company. You should also check whether the consultancy has adequate resources for your business. 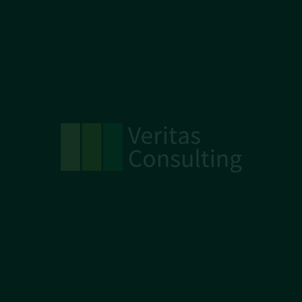 Whether you’re looking for general health and safety guidance or advice on complex, strategic or high risk situations, we recommend that you consider a Chartered Safety and Health Practitioner (CMIOSH or CFIOSH), such as Veritas Consulting. You should always ask consultants for references and examples of work they’ve completed that are similar to yours, or work they’ve carried out in your particular industry. You could also talk to their previous clients to find out if they would use the safety consultant again and how they rate their performance. It’s essential that the consultant you appoint has the correct level of insurance, including professional indemnity. So, check that their insurance covers the work they’re offering to do for you. If, for example, you’re looking for help from an asbestos consultant, it’s important that they’re insured to give this advice. Because you’ll be working closely with the consultant, arrange face-to-face meetings with all prospective candidates before you make a decision on which one you want to do your work. Then you can make a shortlist. Once you’ve decided on the type of help you need and identified sources of competent advice, you’re now in a position to begin the process of choosing the right consultant for you and your organisation. When you select a safety consultant, make sure they improve your health and safety management system (if you already have one). Be careful that you don’t end up paying for a generic ‘package’ of information, a set of risk assessments that aren’t tailored to your circumstances, or just a health and safety manual. One size doesn’t fit all. Any information the safety consultant gives you should be specific to you and your business. You should look beyond general information that will merely help you ‘tick the box’ if an HM inspector calls or an insurer asks for it. Your organisation needs practical, proportionate and customised ways to manage your risks effectively and improve the health and safety of your business.